Among the endless list of ‘things-to-do’ as your child reaches toddlerhood, introducing phonics seemed to be one of the most challenging things on the list. At this point, our little tot should be introduced to phonics, which is the fundamental step required towards reading and writing. In general, children between three to four years old will attempt on identifying simple words little by little. You start introducing different sounds, until they learn how to make rhyming words, and eventually compose an entire sentence. It’s challenging for both parents and child, but rewarding at the same time. It is true that kids at this age will start adapting to the sounds that they hear and mimic those sounds, allowing them to learn a few words at a time. 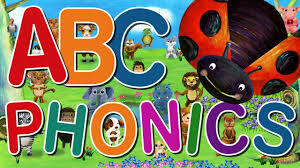 However, by incorporating phonics, your child’s speech development will significantly improve, which is one of the benefits of incorporating their method in their daily routines. When worrying about Phonics for Toddlers, parents may have different types of approach when it comes to introducing the phonics system – some have shown success, while some others progress gradually. Regardless of the approach, take note that the important thing to take into consideration is to remain consistent with your teaching methods, find ways to make it fun for the child and have a lot of patience. You may not see immediate results, but your patience is crucial during this stage. Below are some steps in helping you introduce phonetics to your toddler, while letting them enjoy during the learning process. 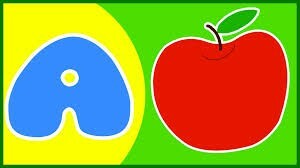 As you begin teaching phonetics to the youngster, introducing the letter “A” is the simplest, best and the most effective way to get started. You can then eventually add consonants to it such as “b”, “p”, “d”, “t”, “r” and form simple words from these letters such as “bat”, “pad”, “dad”, “tap”, “rat”, etc. At this point in time, as much as possible, you should avoid using two consonants before the vowel, as this can confuse the child. It may make it more difficult for your child to absorb what you’re teaching. Three-letter words are perfect to introduce at this stage. Given the fact that your child has learned these new words on the first day, it doesn’t mean that you can’t use the same words in the next couple of days. As a matter of fact, it is recommended that you use the same words on the next two to three days. This is called reinforcement – and you can gradually introduce new words, in addition to those words that they’re already familiar with. Won’t my child feel bored with it? If your little tot is a fast learner, there’s a slight chance that they may feel tired, but what you can do is give them rewards, or even ask for examples from your child! Always show them that you appreciate and that they’re doing a fantastic job! Now that your child is familiar with easy words, you can then start teaching them the sounds that are produced by its corresponding letters. It would be fun if you can use cards to introduce more words, or better yet, invest in a colorful alphabet puzzle. Children are more visual, and using images make it easier for your child to remember words. For instance, it would be easier for a child to remember a map with the word on the card, and a picture of it. At the end of the day, you’ll notice that your child will start mastering these simple words, and this is a perfect cue to step up the learning process. You can then play with words and make rhyming words. You can then introduce other vowels, replace them with other vowels, such as “sat” and “sit”. Ask your child to participate – you’ll be surprised with the words that they can come up with! As they start to progress, you can incorporate more complicated words and rules. Just take note though, don’t skip lessons and take it slow. Pick up the pace once you’re confident that they’ve mastered the letters and/or words, then move on to the next.